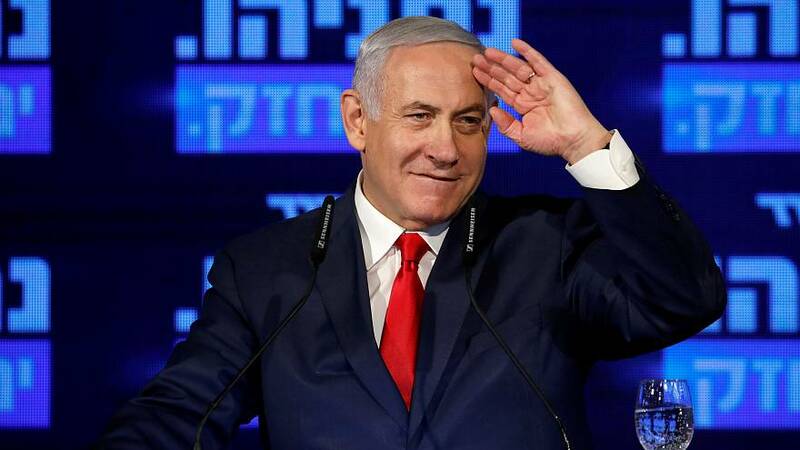 Prime Minister Benjamin Netanyahu has pledged to formally annex Jewish settlements in the occupied West Bank ahead of Tuesday's elections in Israel. He is in the middle of a closely fought election race with his former army chief of staff Benny Gantz and is competing for votes with other right-wing parties who are in favour of annexing part of the West Bank to Israel. The settlements are considered illegal under international law - but Israel firmly disputes this. Israel has about 400,000 Jews settled in the West Bank area and another 200,000 living in East Jerusalem. There are around 2.5 million Palestinians living in the West Bank and they want to establish an independent Palestinian state uniting the Gaza Strip, East Jerusalem and the currently occupied West Bank. They say the presence of Jewish settlements make a future independent Palestinian state impossible to achieve. Israel says the issue of settlements are being used by the Palestinians as a pretext to avoid direct peace talks. It claims settlements are not a genuine obstacle to peace and are negotiable. Bill Neely discusses how important this election is for the incumbent PM, both politically and personally in the player above.